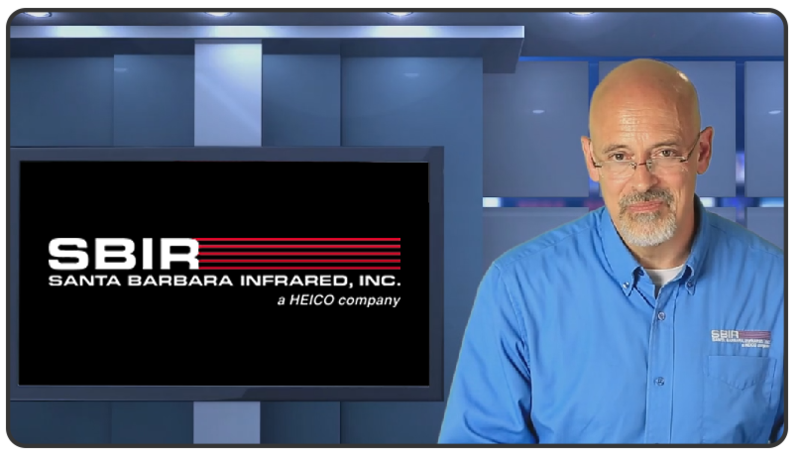 The 4000 Series extended area blackbodies feature a 50ºC to 600ºC range, precise temperature control and a unique and uniform Lambertian emitting surface. These units are ideal for use as calibration source references, large area uniform flood sources and for backlighting targets. They are designed for use in laboratory, production and depot environments and are easily integrated into automated, multi-function test benches. Each system includes a calibrated blackbody head, separate controller, cabling and a user's manual. 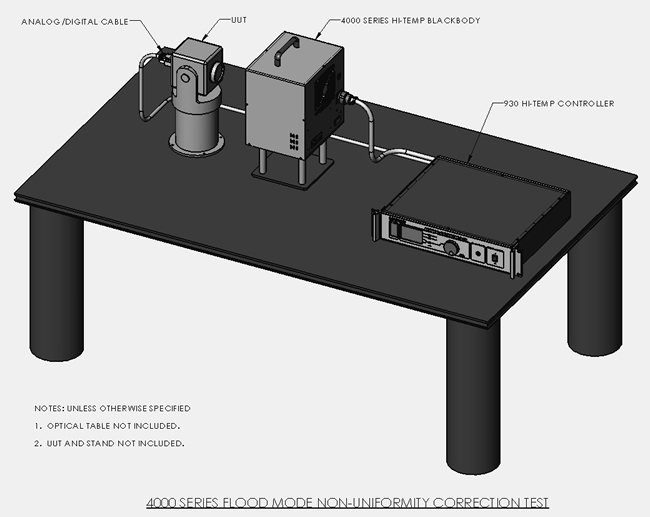 SBIR's 4000 Series blackbodies put the temperature measurement and calibration electronics in the blackbody head rather than in the control electronics package. With this approach, temperature measurement information from the blackbody to the controller is serial digital data rather than an analog temperature sensor signal. The result is significantly improved performance: lower noise operation, more stable temperature control, improved immunity to EMI, and an easier integration task for the test equipment engineer. 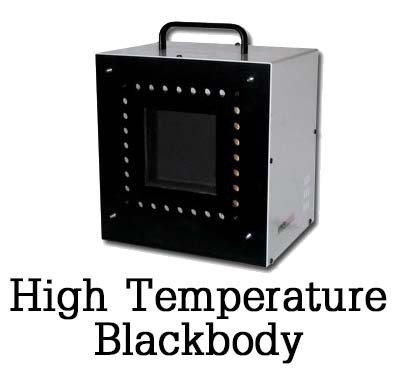 The emitting surface of the blackbody can be controlled at temperatures up to 600°C. The microprocessor-based temperature controller is designed for optimum accuracy and stability. A high resolution enhanced PID temperature servo provides zero drift and low jitter control of the emitting surface’s temperature. An extensive BIT assures that the blackbody is functioning properly during use. BIT is automatically invoked on power up, and a continuous background (transparent to the user) BIT is performed during operation. A more extensive commanded BIT can be invoked via the computer interface. 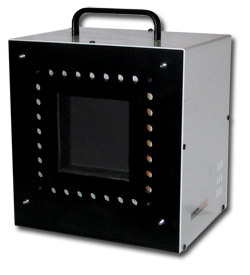 The 4000 Series blackbody sources are available in 2", 4", and 6" square apertures. An intuitive, user-friendly front panel provides easy control of all instrument functions. These blackbodies integrate easily with other SBIR products such as collimators and target wheels. The thorough implementation of the ANSI/IEEE Std. 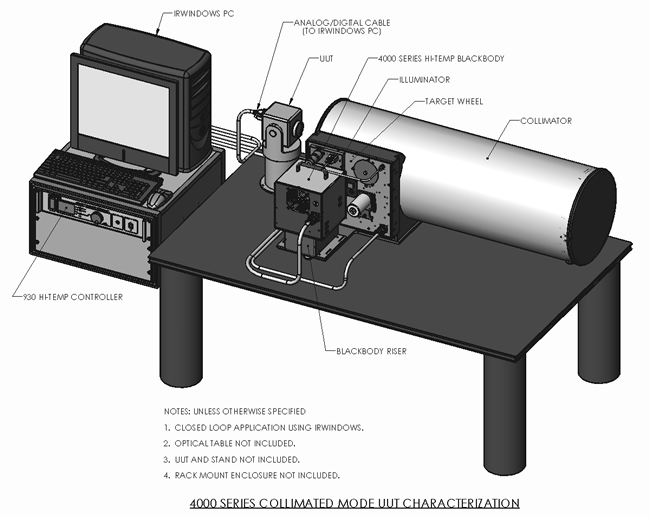 488.1-1987 allows for computer control of all blackbody, calibration, illuminator, and target wheel functions. An optional serial interface provides computer control of all blackbody, calibration, illuminator and target wheel functions. 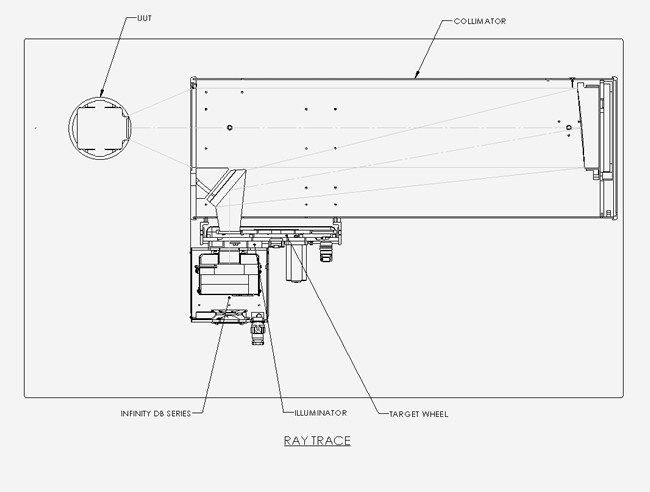 Multiple targets can be rapidly and precisely positioned in front of the blackbody. Target position can be set from the front panel of the controller or via the optional computer interface. For details on the full line of target wheels see SBIR's Target Wheel section. Approximate Blackbody Weight 4002—15 lbs., 4004—20 lbs., 4006—28 lbs. 1. Short term is defined as less than one hour and long term is over 1 hour. • Blackbody Size: 2", 4", 6"